In the 21st century low carbon buildings will be assembled on site from a set of modular precision made components. 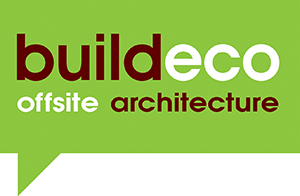 Founded by Audley English, buildeco is delivering that future via an innovative form of modular flat-pack offsite intelligent construction for the built environment. To do so it is bringing together like-minded people and organisations that will lead and encourage cultural changes within the industry for the benefit of all. Modernisation of the construction industry is long overdue – it is the last industry to embrace fully automated methods despite the fact that they can substantially improve quality, cut costs, reduce construction time, prevent waste, and lessen injuries. Using recyclable and sustainable materials, the industry’s carbon footprint can significantly be reduced and efficiency provided using manufacturing techniques similar to the motor industry.